Today’s episode of Yeh Rishtey Hain Pyaar Ke starts with Meenakshi playing her Veena and is very happy, just then the police arrive. 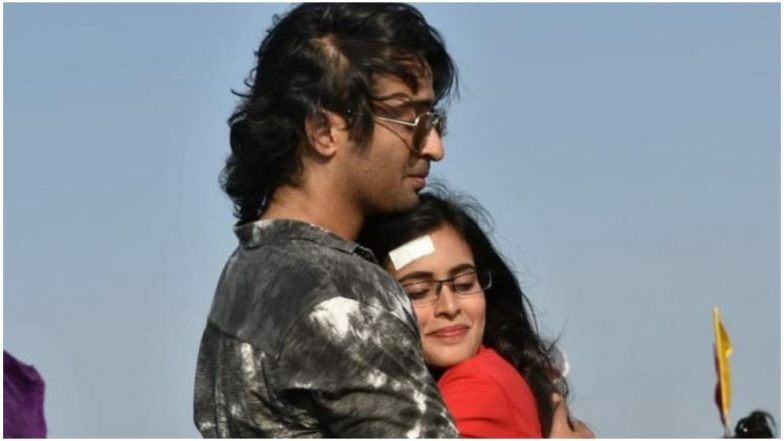 There Mishti (Rhea Sharma) is telling Abir (Shaheer Sheikh) that she wants to talk to him as he is the only friend in this house. Seeing the police all get tensed. Dadaji asks the police commissioner as to why they have come here, Meenakshi says that she has called him to give blessing to KetKi. The commissioner tells that he has come here to meet Vishambar Maheshwari and asks if Kuhu and Mishti are there. Meenakshi asks what is the reason but Abir tells them to go inside and talk whatever matter is there. The commissioner tells them that he has come to arrest Kuhu and Mishti as they tried to manipulate a girl to run away from her family, all are shocked to hear it. Vishambar asks if he has any proof, he shows them the photograph of Kuhu and Mishti with Ketki. Mishti and Kuhu try to explain to them that they are innocent. All come to know that the girl is Ketki, Kaushal tells that she is his daughter and request them not to create any scene as his daughter’s marriage will be at stake. Meanwhile, Parul asks Meenakshi who might have called the police, Meenakshi says she has called them and tells that she did not have anyway and that it was for her family’s prestige. Meenakshi tells that she wants a girl who comes and learns from her and not who had already learned everything and tells that when Vishambar comes to know that she has complained, they will reject the proposal. Abir hears them talk and comes to know that Meenakshi has done this all. Rajshree tells Kaushal to bring Ketki and ask her what is right and what is wrong. Abir comes there and tells he will tell the truth and says that Mishti and Kuhu have helped Ketki to come home safely and tells thanks to Mishti and Kuhu. The police tell that Meenakshi herself has given the complaint, Vishambar and all are shocked to hear this. Meenakshi comes there and asks forgiveness for all that happened. Vishambar and all go from there. Abir calls at the Maheshwari’s house, Jasmith answers the phone, he asks if the police had been there, Jasmith says nobody came there. Abir wonders if the Police did not go there then how come they knew that Vishambar and all are at his house. There Vishambar and all come home and ask Kuhu and Mishti to tell the truth, they say that they just helped Ketki and told her to return home. In the precap, Abir tells Meenakshi that she saw Mishti’s photo in his mobile then she told Kunal to get marry to Mishti, Kunal asks her did she call the police.